This chapter attempts to first present the international regimes, mechanism(s), and measure(s) framework. 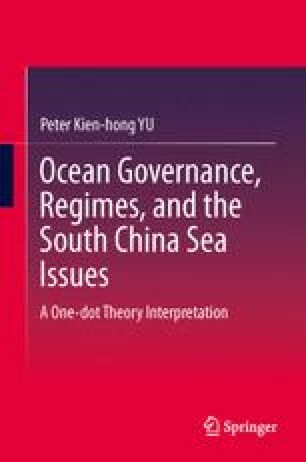 As a second step, information and analysis regarding article 64 of the United Nations Convention on the Law of the Sea (UNCLOS) and the Agreement for the Implementation of the Provisions of the UNCLOS of December 10, 1982 Relating to the Conservation and Management of Straddling Fish Stocks and Highly Migratory Fish Stocks (the Agreement) will be slotted in (a series of) the crab and frog motion model(s). To reiterate, the author sincerely pleas that, in future, after finalizing a new law related to highly migratory fish stocks and straddling fish stocks, the academics and expert(s) in charge would apply my crab and frog motion model and put it at least in the appendix for other interested parties to readily grasp what mechanisms and measures are involved in a specific regime.